Some people just seem to never age. Take Arsenio Hall, for example. You all know Arsenio, right? He had a very popular late night talk show in the 90s. Yes, that Arsenio. Well, in case you weren’t aware. “The Arsenio Hall Show” has been back since last month and it seems that some things never change. The host of the show is as exuberant and boisterous as ever. And he hasn’t aged a bit! It seriously appears as if Arsenio Hall has the “fountain of youth” stowed away in his backyard or something. Then again, maybe he just has the best makeup artists on the planet. One thing is for sure, though. It is very difficult to find any signs of aging on the man. Even for those who feel that he does look older, it’s hard to imagine that he is currently 57 years old. Crow’s feet, forehead lines, frown lines, smile lines, thin lips and sagging cheeks are all signs of aging that most people encounter by the time they are Arsenio’s age. And for those of us who may not have such talented makeup artists working for us, there are other ways to maintain that fresh and youthful look. Juvederm fillers are fantastic ways to battle the signs of aging. Let’s look at a few example of how. Juvederm Takes Years off Your: Crow’s Feet. When Juvederm is injected near the corners of the eyes, it helps to reduce the appearance of those wrinkles and lines. 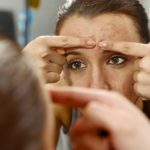 Most often, crow’s feet are a result of aging, smoking, sun exposure and the everyday facial expressions that we make. They can’t always be avoided, but clearly refraining from smoking and prolonged stays in the sun can help keep crow’s feet at bay. Juvederm Takes Years off Your: Forehead and Frown Lines. Juvéderm injections help to remove the lines in your forehead as the smoothing injectable lessens the creases that occur due to repeated contractions. Repeated muscle contraction is also the cause for those lines to form between your eyebrows. With Juvéderm, your skin is given the opportunity to even out, lessening the appearance of that “old and grumpy” look. Juvederm Takes Years off Your: Wrinkles and other facial lines are not the only signs of aging. As we age, the fullness of our lips can be lost. Juvéderm fillers work to give them more volume. The same can be done for your chin. Juvéderm has the ability to add more firmness and definition to your chin to help you do away with that sagging, “getting on in age” appearance. Juvederm Takes Years off Your: Cheeks and Marionette Lines. Your cheeks are another place that tends to lose volume with age. Juvéderm fillers work to restore any lost facial volume due to either aging or the loss of weight. They give your face a refreshed and rejuvenated appearance. Right underneath your cheeks are those lines that form below the corners of your mouth. Known as Marionette Lines, they generally give a sad or angry look to your face that Juvéderm can also help to erase. Juvederm Takes Years off Your: Smile Lines. 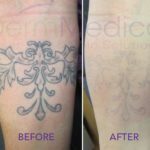 Check out this YouTube videoto see how Juvéderm can help with those! Most of us need a little bit of help restoring deep volume loss. We need some assistance with smoothing out our faces and rejuvenating the sunken areas around our cheeks. We need a hand with creating more volume and getting more youthful contours in our chins. For help, call DermMedica toll free at 1-866-861-3070, or if you are in Kelowna, call 250-868-3070.